I haven’t had time to write much about it, but ever since developing gluten and several other food sensitivities/intolerances, my diet and overall perspective on health has changed pretty drastically. Don’t miss the FREE Webcast for the next 3 days with creativeLIVE, because you deserve to have what it takes to be better! Whether you are new to the Bulletproof Lifestyle or are one of my long standing friends- there is something for everyone! One of my favorite things is receiving e-mails from members of the Bulletproof community sharing with me how the Bulletproof® Diet helped shed pounds, or that Bulletproof® Coffee turned on their brains. It is inspirational to hear how much more people get out of life when they are Bulletproof! Letter from Leonard M.: The Bulletproof lifestyle has impacted my life in every way. It has made a difference in both mind and body. Physically I feel better then ever and this makes everything easier in life. I have a full time job and I am a full time parent. The BP lifestyle makes all this easier. The effect on my mind is great. I look at life and everything so differently now. No task seems impossible and everything seems achievable. I have tried so many new things because of this Bulletproof mind set. Letter from wrestler Sam Shaw: I’ve always been interested in staying ahead on the latest advancements in human performance, both mentally and physically. In my line of work, it is imperative that I stay sharp, focused, physically fit and ready for any challenge. 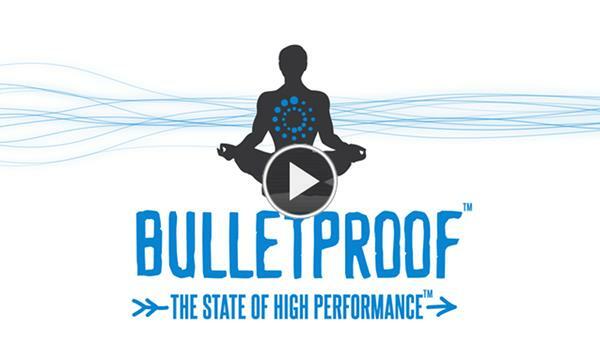 I “thought” I was doing a pretty good job until I stumbled upon the “Bulletproof” lifestyle. I am absolutely blown away by the changes I have seen (physically and mentally). My energy, drive and focus have been on point and I feel like I can take on any challenge. Dave Asprey is the real deal, and his Bulletproof system is what every athlete (or anyone) should be using to step up their game in the sport of Life! I got in a fight with a nasty cold this week. I survived it and want to share what I’ve learned. Everyone knows that the best medicine for a cold is lots and lots of orange juice. You need to keep fluids moving through you to help flush things out and orange juice gives you the vitamin C you need to fight the cold. But does it really help? Well, you have to factor in the fructose content of orange juice. 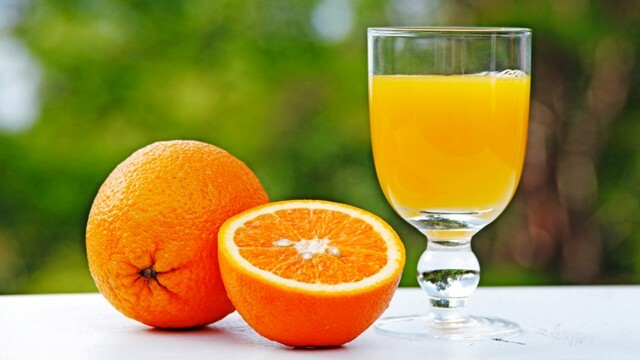 Eating straight oranges includes fiber that slows the release of fructose into your body, but fruit juice doesn’t slow the sugar dump so your body gets overwhelmed with fructose. When that happens, your body has to waste energy processing and cleaning up the fructose, and furthermore, fructose itself reduces your immune system’s ability to eat invaders by over 41 percent. It takes more than five hours for your immune system to return to normal. And if you’re eating carbs high in glucose, like toast, then you’re also inhibiting the vitamin C from entering your cells. In the 1970’s, Dr. John Ely discovered the Glucose-Ascorbate-Antagonism (GAA) theory. Glucose and vitamin C (ascorbate) have a very similar chemical makeup. This theory proposes that elevated glucose levels compete and effectively restrict vitamin C from entering cells. Both glucose and vitamin C depend upon the pancreatic hormone insulin and its signaling effects in order to get into cells. But let’s put that aside and just go with the USDA Nutrient Database stats: 12oz of orange juice contains 30g of sugar and about 150mg of vitamin C. 150mg of vitamin C isn’t going to do anything to a cold. Most people recommend, at the bare minimum, 1,000mg every 3 hours while you have your cold. So that would be around 6 glasses of orange juice every 3 hours, so maybe 24 glasses of orange juice a day. That would result in 720g, nearly 2 lbs of sugar a day, which would significantly suppress your immune system and cause significant inflammatory stress throughout your body. So orange juice is really not helpful when you’re fighting a cold, but vitamin C is, so what’s the solution? Enter titrating vitamin C to bowel tolerance. Basically, your body’s tolerance level for vitamin C fluctuates depending on how much you need to fight an infection. You can’t overdose on vitamin C, meaning it’s not toxic. The only effect you will get is diarrhea if you have too much. But that will only happen when your body can’t absorb any more of it. Watch the video below to learn how clinical doctors have documented patients’ tolerance levels fluctuating depending on the severity of their illness. See also Fighting Viral Infections by Vitamin C at Bowel Tolerance. Alan Smith, a farmer in New Zealand, came back from the dead through the use of Vitamin C megadosing, much to the protest of his doctors, who left him for dead and were about to pull his life support plug. Watch the story on 60 Minutes. So I took my cold last week as a chance to experiment. I thought I was taking high doses at 10g/day, but I never reached bowel intolerance until yesterday when I used a powder and hit it at 60g. If I had started that high, my cold would have been over much faster, though the dosage I was using did certainly help. Vitamin C megadosing is absolutely amazing and you need to be very aware of it. It’s not just for colds. It destroys every virus, if you take enough of it. Many doctors offer vitamin C through an IV, which I will probably try next time. IVC is used to treat a vast number of ailments, including cancer. I recently had the privilege of interviewing Jeff Johnson on The Confessing Baptist Podcast. I really enjoyed it and I hope it encourages people to read Jeff’s book. However, I do want to offer some clarification on one of the views he puts forward. When I first read his book, though I loved it, the one thing that stuck out to me, that I disagreed with, was his view that the Mosaic Covenant offered eternal life upon the condition of perfect obedience. Through my studies, I had become convinced that the Mosaic Covenant was a covenant of works, but only for life in the land of Canaan, not eternal life. #1 is the view presented in the 1689 Federalism videos. First, it was a national covenant with the Hebrew people. In this view the parties were God and the people of Israel; the promise was national security and prosperity; the condition was the obedience of the people as a nation to the Mosaic law; and the mediator was Moses. In this aspect it was a legal covenant. It said. “Do this and live.” Secondly, it contained, as does also the New Testament, a renewed proclamation of the original covenant of works. It is as true now as in the days of Adam, it always has been and always must be true, that rational creatures who perfectly obey the law of God are blessed in the enjoyment of his favour; and that those who sin are subject to his wrath and curse. Our Lord assured the young man who came to Him for instruction that if he kept the commandments he should live. And Paul says (Rom. ii. 6) that God will render to every man according to his deeds; tribulation and anguish upon every soul of man that doeth evil; but glory, honour, and peace to every man who worketh good. This arises from the relation of intelligent creatures to God. It is in fact nothing but a declaration of the eternal and immutable principles of justice. If a man rejects or neglects the gospel, these are the principles, as Paul teaches in the opening chapters of his Epistle to the Romans, according to which he will be judged. If he will not be under grace, if he will not accede to the method of salvation by grace, he is of necessity under the law. This covenant [Sinai] thus made, with these ends and promises, did never save nor condemn any man eternally. All that lived under the administration of it did attain eternal life, or perished for ever, but not by virtue of this covenant as formally such. It did, indeed, revive the commanding power and sanction of the first covenant of works; and therein, as the apostle speaks, was “the ministry of condemnation,” 2 Cor. iii. 9; for “by the deeds of the law can no flesh be justified.” And on the other hand, it directed also unto the promise, which was the instrument of life and salvation unto all that did believe. But as unto what it had of its own, it was confined unto things temporal. Believers were saved under it, but not by virtue of it. Sinners perished eternally under it, but by the curse of the original law of works. The church of Israel was never absolutely under the power of that covenant as a covenant of life; for from the days of Abraham, the promise was given unto them and their seed. And the apostle proves that no law could afterwards be given, or covenant made, that should disannul that promise, Galatians 3:17. But had they been brought under the old covenant of works, it would have disannulled the promise; for that covenant and the promise are diametrically opposite. “The national covenant did not refer to the final salvation of individuals: nor was it broken by the disobedience, or even idolatry, of any number of them, provided this was not sanctioned or tolerated by public authority. It was indeed a type of the covenant made with true believers in Christ Jesus, as were all the transactions with Israel; but, like other types, it ‘had not the very image,’ but only ‘a shadow of good things to come.’When, therefore, as a nation, they had broken this covenant, the Lord declared that He would make ‘a new covenant with Israel, putting His law,’ not only in their hands, but ‘in their inward parts’; and ‘writing it,’ not upon tables of stone, ‘but in their hearts; forgiving their iniquity and remembering their sin no more’ (Jer. 31:32-34; Heb. 8:7-12; 10:16, 17). The Israelites were under a dispensation of mercy, and had outward privileges and great advantages in various ways for salvation: yet, like professing Christians, the most of them rested in these, and looked no further. The outward covenant was made with the Nation, entitling them to outward advantages, upon the condition of outward national obedience; and the covenant of Grace was ratified personally with true believers, and sealed and secured spiritual blessings to them, by producing a holy disposition of heart, and spiritual obedience to the Divine law. In case Israel kept the covenant, the Lord promised that they should be to Him ‘a peculiar treasure.’ ‘All the earth’ (Ex. 19:5) being the Lord’s, He might have chosen any other people instead of Israel: and this implied that, as His choice of them was gratuitous, so if they rejected His covenant, He would reject them, and communicate their privileges to others; as indeed He hath done, since the introduction of the Christian dispensation” (Thomas Scott). The above quotation contains the most lucid, comprehensive, and yet simple analysis of the Sinaitic covenant which we have met with in all our reading. It draws a clear line of distinction between God’s dealings with Israel as a nation, and with individuals in it. It shows the correct position of the everlasting covenant of grace and the Adamic covenant of works in relation to the Mosaic dispensation. All were born under the condemnation of their federal head (Adam), and while they continued unregenerate and in unbelief, were under the wrath of God; whereas God’s elect, upon believing, were treated by Him then, as individuals, in precisely the same way as they are now. 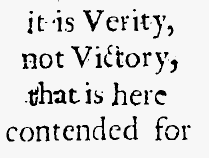 Scott brings out clearly the character, the scope, the design, and the limitation of the Sinaitic covenant: its character was a supplementary combination of law and mercy; its scope was national; its design was to regulate the temporal affairs of Israel under the divine government; its limitation was determined by Israel’s obedience or disobedience. The typical nature of it—the hardest point to elucidate—is also allowed. We advise the interested student to reread the last four paragraphs. [T]he life promised upon condition of performing the statutes and judgments in its immediate context in Leviticus here is “the covenantal blessing of abundant (and long) life in the land of Israel.”… One should not stop here, however, for these potential temporal blessings (and we might add potential curses as well) were intended only as an incremental stop or sign of something far greater, what has recently been called “temporal blessings and curses with an eye to Christ.” My own position is that the temporal life promised in the Mosaic covenant portended and typified the greater “eternal life,” which seems the clear position argued by the apostle Paul. This is why I can still agree with the vast majority of what Johnson says about the Mosaic Covenant while disagreeing that it offered eternal life. My point is not to provide these quotes to prove position #1, but simply because I know this is a potentially confusing issue and these quotes have been helpful in my attempts to make sense of it. I appreciate the opportunity this has provided for brothers to sharpen one another. I think how this all relates can be confusing, so it has been beneficial for me to reconsider it. I agree. Men, including Israelites, are condemned eternally by the original covenant of works, not by the Mosaic Covenant. 2) The NT says the old covenant was rendered obsolete because it was broken. I’m not certain how we can say Christ fully obeyed the terms of the old covenant if we are told the old covenant was broken irreparably. We do read that Christ fulfilled the law, but law has a broader meaning than just “old covenant” (though it can mean old covenant). 3) When we read of the covenantal rewards Christ earned, we read that they were prepared for Him by the Father, implying the Covenant of Redemption, not the Mosaic Covenant. Luke 22:29 says that the Father assigned a kingdom to the Son. Furthermore, John 17 teaches that Christ’s reward was the elect – something never offered as a reward for obedience to the Mosaic Covenant. Therefore, if the Father can give the Son rewards not found in the Mosaic Covenant, I don’t see why eternal life for the elect could not be one of the rewards offered in the Covenant of Redemption, and thus I see no reason why the Mosaic Covenant had to be the condition for Christ to fulfill. But when the fulness of time had come, God sent forth His Son, born of woman, born under the law, to redeem those who were under the law, so that we might receive adoption as sons. A variety of purposes can be discovered to explain the insertion of the old covenant order and its typal kingdom into the course of redemptive history. Of central importance was the creation of the proper historical setting for the advent of the Son of God and his earthly mission (cf. Rom 9:5). In accordance with the terms of his covenant of works with the Father he was to come as the second Adam in order to undergo a representative probation and by his obedient and triumphant accomplishment thereof to establish the legal ground for God’s covenanted bestowal of the eternal kingdom of salvation on his people. It was therefore expedient, if not necessary, that Christ appear within a covenant order which, like the covenant with the first Adam, was governed by the works principle (cf. Gal 4:4). The typal kingdom of the old covenant was precisely that. Within the limitations of the fallen world and with modifications peculiar to the redemptive process, the old theocratic kingdom was a reproduction of the original covenantal order. Israel as the theocratic nation was mankind stationed once again in a paradise-sanctuary, under probation in a covenant of works. In the context of that situation, the Incarnation event was legible; apart from it the meaning of the appearing and ministry of the Son of Man would hardly have been perspicuous. Because of the congruence between Jesus’ particular historical identity as the true Israel, born under the law, and his universally relevant role as the second Adam, the significance of his mission as the accomplishing of a probationary assignment in a works covenant in behalf of the elect of all ages was lucidly expressed and readily readable. Hope that helps at least clarify the issue! All of this is to say: Michael Horton needs to stop being “baffled” at these characterizations of the Two Kingdoms paradigm. They are taught explicitly and emphatically in the very book he is recommending. Having spent a good deal of time carefully reading VanDrunen’s book, Tim Keller’s generalizations (the immediate source of Horton’s ire) strike me as perfectly reasonable and fair. In my carefully considered opinion, David VanDrunen argues for an almost complete dualistic split between heavenly and earthly callings. If Horton wants to put Humpty Dumpty back together again and view them as unified and complimentary, I suggest he walk down the hall and have a nice, long visit with his colleague. Because from the looks of Horton’s blog post, the right hand at WSCAL doesn’t know what the left hand is doing.